Born in Tokyo, Oda studied painting with Kawamura Kiyoo and lithography with Kaneko Masajiro. 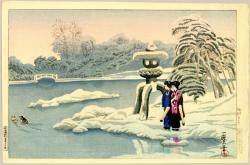 His older brother who was a lithographer in Osaka had greatly influenced his studies. Primarily a lithographer, he did occasionally carve and print his own woodblock prints, and in the 1920's he designed woodblock prints that were published by Watanabe. 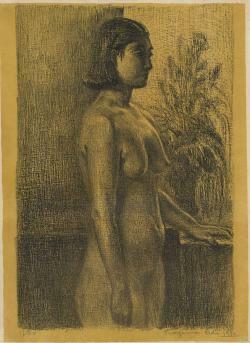 Many of those prints were also included in the 1930 Toledo Exhibition. Oda was influenced by the work of French printmaker Toulouse-Lautrec.